Okay, so it’s not sushi, but I promise I’ll have more sushi up this weekend! Since you have all been so great and asked nicely, here is the spinach dip recipe I promised! It is so much better than any other spinach dip recipe I have tried! Ever since I was little I have always requested that my mom make this for birthdays, holidays, and any other special occasions. But beware! If you are like me, you will sit in front of the bowl and just eat it and eat it, so if you are dieting, this might not be for you (or make sure you have a bunch of friends over to share it with!) On the other hand, if you enjoy good food, this is a perfect recipe for you! And once again, sorry to be going off on a non-sushi related tangent, it’s just that this is soooo good I had to share! I promise more sushi this weekend! Serves 1 very indulgent person (me!) or 6 normal people. Break the spinach leaves off of the stems, discard the stems and any icky looking leaves. Wash the spinach very well… I don’t want anyone getting e-coli! Put the spinach, sour cream, and mayonnaise in a blender or food processor (I use a blender, my mom uses a food processor, it comes out yummy both ways 🙂 ), blend until smooth. You might have to add the spinach in several batches, blending it in between, since an entire bunch of spinach takes a lot of room. 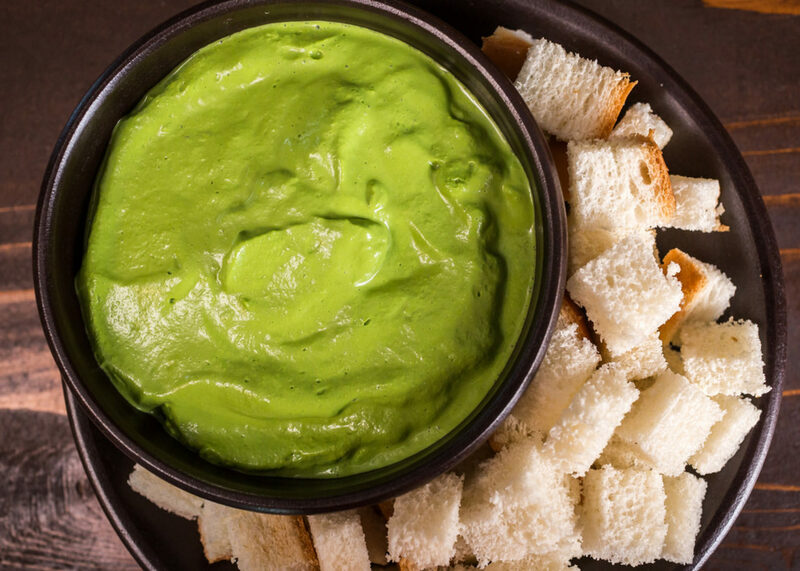 When you add the spinach, try to mix it into the sour cream/mayonnaise or the already blended dip – this makes it so the spinach is heavier and will sink to the bottom where the blades are. Otherwise it takes forever to blend it all! Chill the spinach dip. (You could eat it right away and it will still be good, but trust me, it is SO much better cold! When you are ready to eat the spinach dip, cut the French bread into cubes. Generously dip the bread into the dip, and enjoy! That DOES look good…and easy, too! Thanks for sharing! Amy – You are very welcome! Let me know how you liked it! Robert-Gilles – Very good! Let me know how it goes with the crusty bread! I can’t believe something so simple could be so GOOD. I even used light ingredients and it was still awesome. It was rather difficult to not eat the whole thing in one sitting. And it took literally five minutes to make. Definitely putting that on my list of party foods. Thanks again! 😀 Told you it’s good! Now you know why it’s so hard for me to eat just a little! I’m glad you like it! Omg that sounds so yummy, i will def. have to try this. It is! 😀 …and easy to make too! You you use a special kind of mayonnaise or will any kind do? Hey just stumbled across this and I gotta say thank you. I LOVE spinach dip and until now my mother was the only one who could make it. Now I get it whenever I want!